Take a black lab, a special needs boy becoming a man and Christmas, and you get a heart-warming story to fill you with hope. 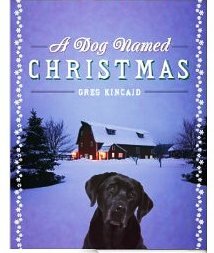 Greg Kincaid‘s A Dog Named Christmas delivers the perfect story to read by the fireplace. And if chores prevent you from relaxing by the fire, listen to Mark Bramhall narrate the story while you work. Before I knew it, my whole house was clean and I was looking for more to do just so could keep listening.